Geez, computer are getting smaller and smaller… Mini-ITX.com has photos of an EPIA N prototype from CeBIT 2004. The motherboard measures 12cm x 12cm and is fanless with Serial ATA, S3’s Unichrome Pro graphics, built-in MPEG-2 decoder, MPEG-4 acceleration, and 6-channel “VIA Vinyl” Audio. 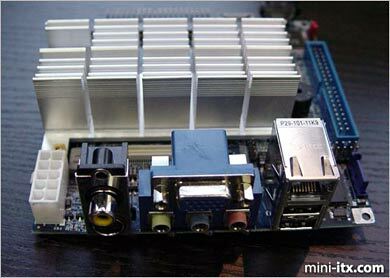 This isn’t an early April fools joke… you need to check out the photos at Mini-ITX.com right now.